Moisés Espino is a story teller, creature fantasy sculptor and artist living and teaching in Spain. He brings his characters to life with Polymer clay and mixed media, as well as in the wonderful and magical stories that accompany them. I love creating posable fantasy dolls, but I found that there aren’t many resources available that teach the techniques required to make one. There are only a small handful of books on the market and Moisés e-book is a must-have resource in any collection, as it answers many of the “How on earth do they do that? ?” questions, as well as taking us on an amusing adventure into the goblin world. Containing 93 pages with detailed instructions and over 300 step by step photos, this book is perfect for the beginner and experienced artist alike. Moisés spent many hours creating his wonderful book in Spanish, (even having to restart the project at one point when his computer crashed), but he finished his wonderful book and still took the time to translate it into English for us all to enjoy. Moisés takes the reader on a creative journey with his book. 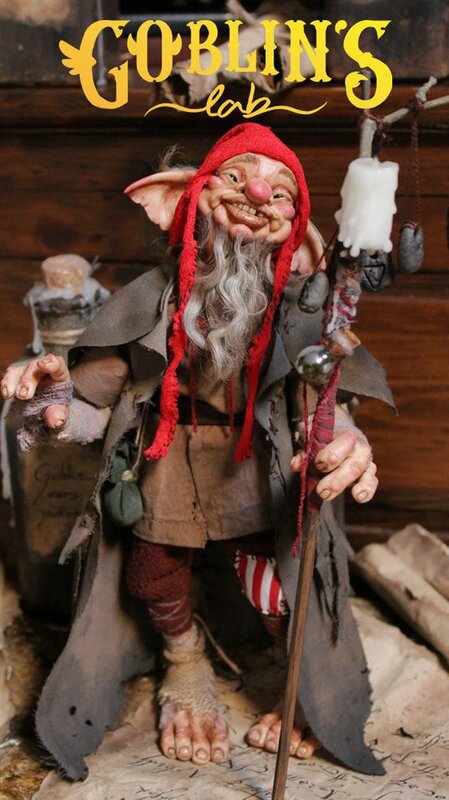 He starts by introducing the reader to the goblin world, goes through all the materials required and then takes us step by step through the process of sculpting all the bits required (head, ears, hands feet), building and assembling the armature, painting your character, creating their wardrobe and dressing them. The book flows really well from one chapter to the next, taking us on a progressive journey, without the need to flick backwards and forwards between chapters. This book is easy to follow with its detailed images and simple instructions and puts you at ease when attempting to sculpt your first (and subsequent) characters. This is a must-have book for all those interested in bringing their own characters to life, and helped me to create a recent commission of a Viking doll, which was very well received by his new owner.